In the years since 9/11, respiratory and mental health issues have been a concern for firefighters and other first responders. Washington (CNN) -- A compromise bill to provide free medical treatment and compensation to first responders of the September 11, 2001, terrorist attack won final approval Wednesday from the House and Senate, sending it to President Barack Obama to be signed into law. The bill passed on a voice vote in the Senate, and then on a 206-60 vote in the House on the final day of the lame-duck session of Congress. Jubilant Democrats hailed the last-minute approval as a $4.2 billion triumph for firefighters, police officers and other emergency personnel who put themselves in harm's way to help others in the aftermath of the 2001 terrorist attack. Even though the vote was kept open for more than an hour, 168 House members did not participate. Missing were 89 Republicans, including incoming Speaker John Boehner, and 79 Democrats. Still, there was a quorum -- a simple majority of 435 House members -- to vote on the bill. Many House members also were absent Tuesday. Some likely went home for the holidays after the earlier funding votes, while others were members who are retiring or lost re-election bids. The vote was the last by the House for the year, as it later adjourned until January 5, when a new Congress will be sworn in and Boehner takes the speaker's gavel. Outgoing Speaker Nancy Pelosi, who presided over the chamber for the conclusion of Wednesday's vote, said the discussion was "about holy and sacred ground." New York Sen. Chuck Schumer, who acknowledged that approval of the bill was in doubt until a few hours before the vote, called it a "great day" for the nation -- and especially for first responders sickened by exposure to toxic pollution from the collapse of the World Trade Center towers, because now they know their country will take care of them. In New York, outgoing Democratic Gov. David Paterson said the bill "will provide much-needed funds for medical treatment to the rescue workers and residents of New York City who suffered illnesses from breathing in toxic fumes, dust and smoke from ground zero." He said it also reopens the victims' compensation fund for rescue workers who were hurt as a result of the attacks. Mayor Michael Bloomberg said the Senate's approval of the bill "affirms our nation's commitment to protecting those who protect us all," and some of those first responders also welcomed the development but questioned why it took so long. Kenny Specht, a former New York firefighter suffering from thyroid cancer, described his first exposure to Washington politics as a "baptism by fire." "It was a lot of time and a lot of effort and it's a little disappointing to see something like this only now receive the bipartisan support that it should have received from the beginning," Specht said. Negotiations Wednesday morning involving Schumer and fellow Democratic Sen. Kirsten Gillibrand of New York with Republican Sens. Tom Coburn of Oklahoma and Mike Enzi of Wyoming led to a deal that reduced the cost of the bill by $2 billion and made other changes sought by GOP opponents, according to statements by the participants. "The Christmas Miracle we've been looking for has arrived," said a statement issued by Schumer and Gillibrand, adding: "We are pleased to announce that we crafted an agreement that will allow this legislation to pass the Senate, and the House, this afternoon. We thank our Republican friends for coming together to fulfill America's moral obligation to the heroes of 9/11." Coburn, a conservative who led the opposition to the bill, said the agreement produced a better piece of legislation. "Every American recognizes the heroism of the 9/11 first responders, but it is not compassionate to help one group while robbing future generations of opportunity," said Coburn, who had demanded that the cost of the bill be lowered and fully paid for. "I'm pleased this agreement strikes a fair balance and improves the bill the majority attempted to rush through at the last minute." According to Coburn, the agreement reduces the overall cost of the bill by $2 billion to a total of $4.2 billion over a 10-year period. His statement said that $1.5 billion of the cost goes for health benefits and $2.7 billion will pay for compensation for health problems of emergency responders. The agreement also caps attorneys' fees at 10 percent of any total compensation award, and includes potential limits on compensation for individuals who already have received workers compensation for injuries due to the 9/11 response, the Coburn statement said. Democrats previously agreed to pay for the bill with fees collected on various services involving foreign countries and foreign visitors. On Tuesday, Schumer said it appeared the bill would come up for a Senate vote once lawmakers voted on New START, a nuclear arms control pact with Russia that is one of Obama's top foreign policy priorities. Both votes occurred Wednesday afternoon. The James Zadroga 9/11 Health Bill is named after a deceased New York Police Department detective who had worked in the toxic plume at ground zero. The House earlier passed the previous version of the bill on a mostly partisan 268-160 vote. According to the bill's supporters, it is funded by a procurement fee on some foreign countries that trade with the United States, the continuation of a fee on some travelers to the United States and a fee on visas for some companies. The version being negotiated by the senators Wednesday drops some of those funding sources. On Tuesday, a group of 9/11 first responders joined lawmakers in Washington to urge the Senate to pass the health care bill. "We continue to see our friends die on a day-to-day basis," said Glen Klein, a New York police officer who said he is sick with lung disease. "We're asking for the right to live." 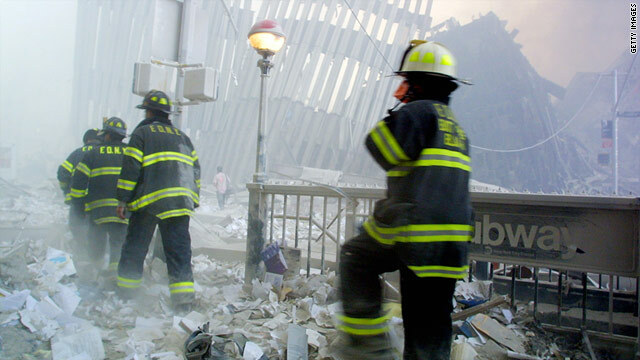 In the years following the attacks, health experts have noted respiratory and mental health conditions, such as post-traumatic stress disorder, in those who engaged in ground zero rescue and cleanup efforts. CNN's Tom Cohen, Deidre Walsh and Jesse Solomon contributed to this report.